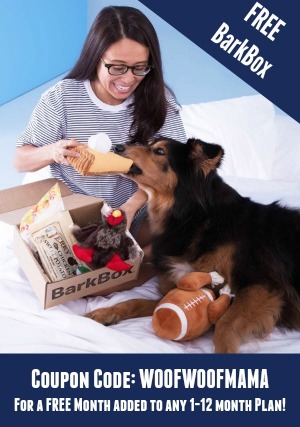 Is there something in your dog’s daily routine that they get super excited about? 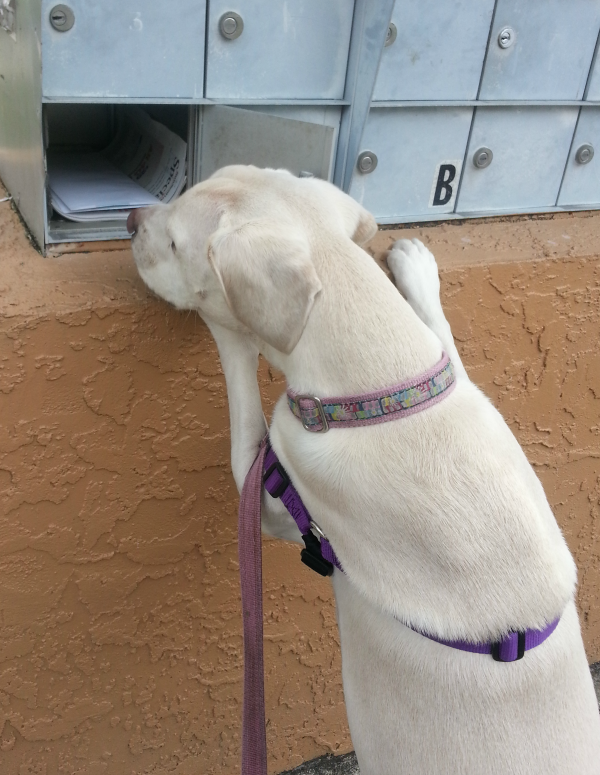 I’m pretty sure that Daisy’s favorite part of the day is when I take a break from working and we walk to the mail box. 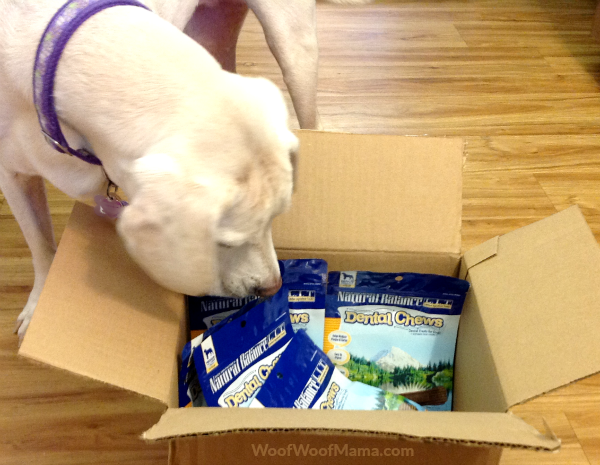 She carries back a small package, magazine or piece of the mail, and wags her tail full-speed because she knows that when we get home, she will get one of her most favorite things: a Natural Balance Dental Chew. She gets one every single day (even though there’s no mail for her to carry on Sundays) and loves them so much that I order them in bulk so that we never run out. 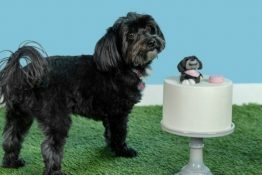 She gets one dental chew per day, along with regular tooth brushing, to help keep her mouth and teeth healthy and clean. Available in three sizes including Mini Bone size with even deeper grooves designed especially for toy breeds. For bigger dogs 15-25 lbs. 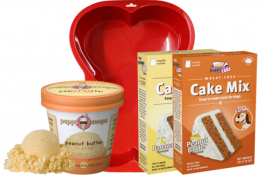 there are Small treats, and Med-Large treats for dogs 25-50 lbs. Daisy’s daily routine includes the Limited Ingredient with Duck formula, but also be sure to check out Natural Balance Dental Chews in Pumpkin & Chicken Meal Formula with Papaya, L.I.T. Sweet Potato & Chicken Meal Formula and the newest variety: Fresh & Clean Formula. If you’re thinking about picking up a bag next time you are at PetSmart, Petco or your favorite local pet supply store, be sure to print this Natural Balance Coupon for $3 OFF dental chews. You can also order Natural Balance Dental Chews at Petco.com. 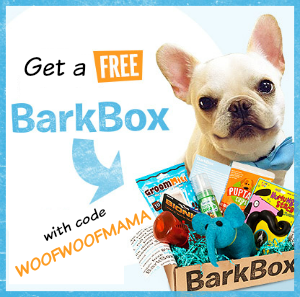 Amazon Prime members get free shipping on dental chews here! Get anything good in the mail recently? All we got so far this week is bills and junk mail! 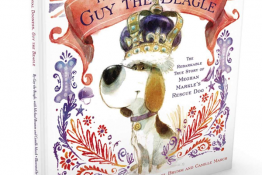 Click below for more great pet blog photos in this week’s Wordless Wednesday hop! 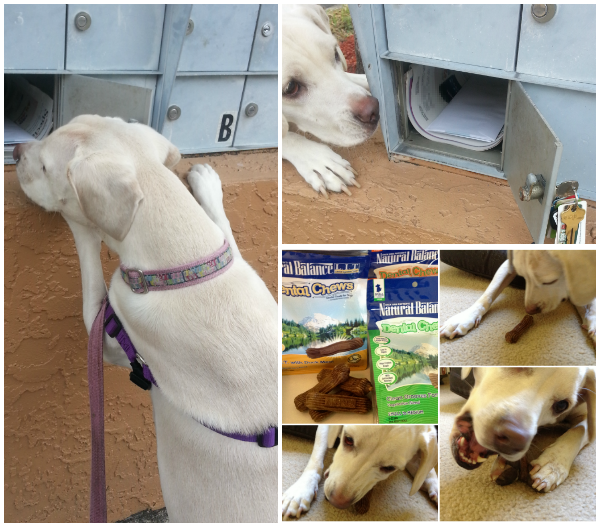 Wordless Wednesday: Daisy’s Got Mail! 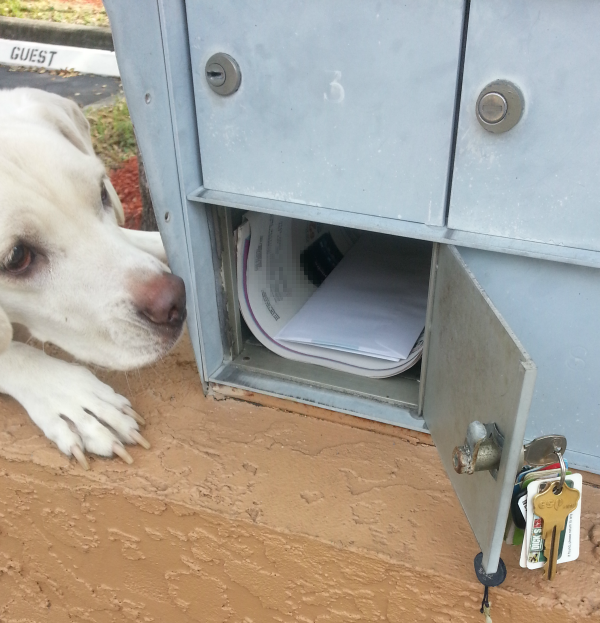 Does your dog love getting mail as much as Daisy does? 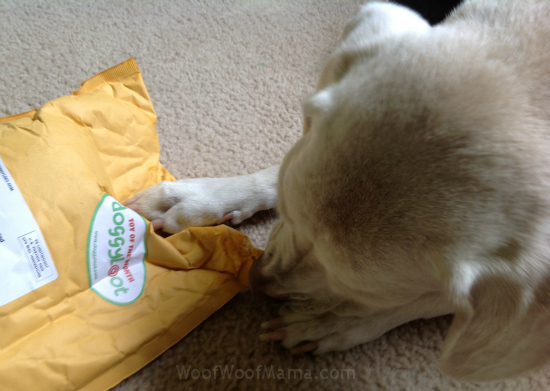 I swear she knows which packages are for her, like this one we got from the doggyloot Toy of the Month Club yesterday! I won’t show you what’s in it since I don’t want to ruin the surprise for anyone else who hasn’t gotten theirs yet, but she sure had fun opening her mail! And yes, I know I need to trim her nails! Do NOT miss this HOT deal on FREE Holiday Labels from Vistaprint! It’s only available thru 10/17 so drop what you are doing and hurry on over here to stock up on great custom labels for the holidays! Choose from thousands of designs including Nickelodeon, Cute Animals, Sports, Holiday themes, or create your own family caricatures! Personalize your mailing labels for all the holiday cards you send out to family and friends. You can even add your own favorite pet or family photo to several of the design templates! And for all those gifts, you can add “to” and “from” fields instead of address lines, to create your own special gift tags for your equally special presents. Or make labels for your business or blog using your logo! The possibilities really are only limited by your imagination, but time is short so visit Vistaprint HERE to browse designs and get your FREE labels! Shipping is just $3.69.